Every single small business owner, at any stage of the business lifecycle, needs goals to keep moving forward, get them motivated to do more, and maintain success in their businesses. Goal setting can follow many different processes, and each one can be successful as long as it defines the long- and short-term goals and devises a plan for getting there. Here is a collection of resources that will help you maximize your goal setting process and guide you as you achieve your business goals, from the simplest to the most ambitious goals on your list. There's no denying the importance of business goals. Goals provide direction, motivation and a clear way to measure your progress. Without goals, you may struggle to find the path from where you are right now to where you want to be. The tips in this article will help you get started with goal setting for your business, focus on the specifics of what you hope to accomplish, and start to put your plan into action. Goal setting doesn't have to be a long and complicated process. You need to pick a theme, identify the necessary action items and commit to the process. If you have just 30 minutes, you can follow these four simple steps to create a goal for your small business. Whether you have a 50-employee company or an empire of one, your business success depends on your ability to set and achieve goals. This article will introduce you to the concept of SMART goal setting and help put your business on the fast-track to goal setting and achievement. New Year's resolutions can be a powerful way to kickstart goal setting. A resolution, after all, is a decision to do something different to bring about positive change. This article outlines seven possible resolutions you should set this year. A resolution on its own is meaningless. It's when you create a plan that focuses on the desired results of your decision that the magic happens. These three easy steps will help you turn your resolutions into goals you can focus on in your business. 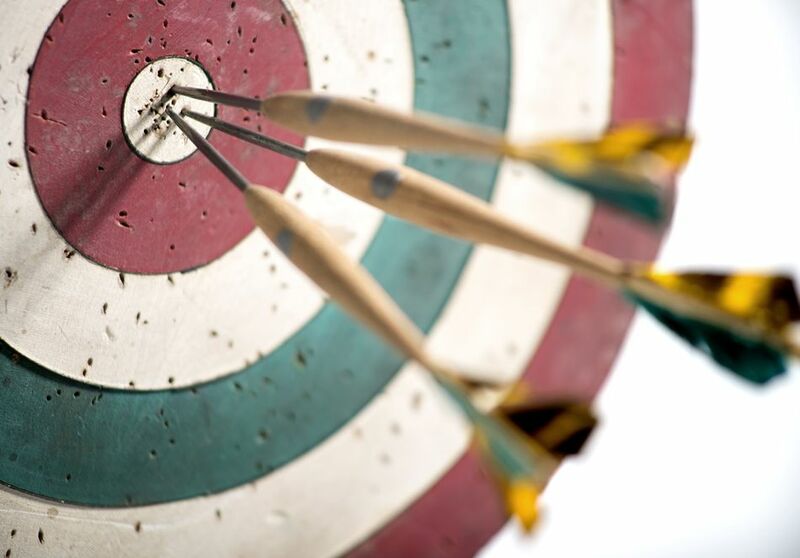 If you're having difficulty identifying the right business goals for you, this article is the one you should read first. While there are many different business goals you can set, sometimes the most common are also the most relevant. This article looks at four common business goals and provides a number of resources that will inspire you to get started. Avoiding mistakes can save you a significant amount of time and effort down the road. So to make your goal setting as efficient as possible, this article lists five common goal setting mistakes you should try to avoid in your small business. The only way to make goals count is to give them the attention they deserve. Here are some tactics to use this year as you set new goals and commit to seeing them through to fruition. When you are overwhelmed by the idea of setting goals, it can be helpful to start at the end and work backward. This tutorial will walk you through the process of creating realistic goals that are broken down into single actions you can focus on one at a time. Creating a goal with just one word is a way to eliminate the overwhelming part of the goal-setting process and focus on a specific theme. Here's how to start. Having a system for setting and tracking your goals is an important part of the goal-setting process. Without a system, it would be impossible to identify a goal, create an action plan and track your progress. This list of goal setting and tracking software will help you create, track and achieve your most important business goals. Envisioning your ultimate business goal may not be that difficult, especially if you are a driven and determined business owner. Figuring out how to achieve that ambitious goal, though, can be another story. Returning to the basics of the goal-setting process is one way to get and stay on track with your business goals, and getting motivated and inspired is another. This article focuses on both. There are a lot of moving parts when it comes to goal setting. The good news is that you can do a few things that will help you create an environment that is conducive to goal setting success. Taking the time to work on the items listed in this article will help reduce the challenges that come with tackling your biggest goals. Without the motivation to work hard and overcome challenges, you may find yourself in a slump, and worse, you may lose your passion for achieving your goals. Motivation is vital for any goal setting process; without it, it will be very difficult to reach your goals. Review these tips for getting and staying motivated when you're striving to accomplish your goals so you can build momentum and push through challenges with ease. Sick of traditional goal setting? Try one of these six alternatives that can help you create a new focus and intention in your business for the coming year.